Episcopal Lectionary: Traditional BCP - RCL. Lutheran lectionary readings, Year A, from the ELCA site. United Methodist lectionary readings, 2002. Resources for Martin Luther King, Jr. Day. Preaching This Week at WorkingPreacher.org, Luther Seminary, 2014. 2011. "See How God Sees," Kathryn Matthews, Sermon Seeds, SAMUEL, UCC, 2017. Pericope Study for Epiphany 1A, Richard Burgess, 2017. "Resistance and Permission," D Mark Davis, Left Behind and Loving It, 2014. The Lectionary Lab, The Baptism of the Lord, the Rev'ds Dr. John Fairless and Delmer Chilton (aka "Two Bubbas and a Bible"), 2014. Lectionary Lab Live podcast. The Baptism of Jesus, Bruce Epperly, The Adventurous Lectionary, 2014. Preaching Helps (Baptism of the Lord). Rev. Dawn Chesser, United Methodist Church General Board of Discipleship, 2014. Evangelectionary, January 12, 2014, Bruce Laverman, Evangelism Connections. Comments (commentary) and Clippings (technical notes for in-depth study), Proper 1A, Chris Haslam, Anglican Diocese of Montreal. Girardian Reflections on the Lectionary, Epiphany 1A, by Paul Nuechterlein & Friends. Rumors, January 13, 2008, Ralph Milton, "Sermon helps for preachers with a sense of humor." Jesus Now, Epiphany 1A. Lectionary, study and worship resources from Faith Futures Jesus Then & Now. Social Justice Lectionary, Bruce Sweet, 2017. Lectionary at Lunch: homiletical helps from Concordia Journal and audio files of lectures by professors at Concordia Seminary, St Louis, MO (LCMS), 2017. Sermon Brainwave, Lectionary podcast featuring Profs. Rolf Jacobson, Karoline Lewis, and Matt Skinner, discussing the week's passages in light of current events. At Luther Seminary's WorkingPreacher.org. 2017. "You Are All My Beloved," Karoline Lewis, Dear Working Preacher, 2017. "A Family Name," David Lose, ...in the Meantime, 2017. "Bruised Reeds anad Dimly Burning Wicks," Janet H Hunt, Dancing with the Word, 2017. "Thin Place, Deep Water," Debie Thomas, Journey with Jesus, 2017. "Of Brexit, Trump and Kings of Old," Howie Adan, Just Off The Map, 2017. "The Devilish Waters of 2017," Nancy Rockwell, The Bite in the Apple, 2017. Preaching Tip of the Week, Bob Eldan, 2017. Living by the Word, Robert Saler, The Christian Century, 2017. "Make Them Hear You," Joseph Peters-Mathews, Modern Metanoia, 2017. "Patterns," Melissa Bane Sevier, Contemplative Viewfinder, 2017. "There Is Always Fire," Andrew Prior, One Man's Web, 2017. "Walk Wet and Share the Good News," Sharron Blezard, Stewardship of Life, 2017. "Fulfilling All Righteousness," Glenn Monson, Law & Gospel Everywhere, 2017. Tuesday Lectionary Leanings, "By Water and the Spirit" Edition, RevGalBlogPals lectionary discussion, 2014. "Baptismal Problems and Promises," David Lose, Dear Working Preacher, 2014. 2011. "A Shocking Request and a Stupendous Claim: The Baptism of Jesus," Dan Clendenin, Journey with Jesus, 2014. 2011. 2008. 2005. "The Very Definition of a Servant," John C. Holbert, Opening the Old Testament, 2014. "Cousins," Alyce M. McKenzie, Edgy Exegesis, 2014. The Preacher's Study, John W.B. Hill, The Associated Parishees for Liturgy and Mission, 2014. "Bathrobes and Sandals," Rick Morley, 2014. "No Turning Back," Christopher Burkett, PreacherRhetorica, 2014. "Openings and Obfuscations," Michael Coffey, 2014. "Come to the Water," David Sellery, 2014. "The Voice of the Lord," Mary Avram, Upper Room Books, 2014. "A Discipleship Elevator Speech?" Sharron R. Blezard, Stewardship of Life, 2014. 2011. "With Jesus in the Baptismal Waters," Bob Cornwall, 2014. "A Bruised Reed He Will Not Break," Steve Godfrey, Church in the World, 2014. Lectionary Notes for Baptism of the Lord, Year A, Beth Quick, 2014. "His Righteousness!" Thomas Beam, 2014. "In Us a Stream of Living Water," Suzanne Guthrie, At the End of the Enclosure, 2014. Poem for the Sunday Lectionary, Andrew King, A poetic kind of place, 2014. "Normal is Strange," Larry Patten, 2014. Panoramic Views of Faith and Health, Butch Odom. Daily lectionary thoughts and prayer, 2014. Lectionary Blogging, John Petty, Progressive Involvement, 2011. "Taking the Plunge," Baptism of JesusA, Peter Woods, I Am Listening, 2011. The Painted Prayerbook, Following the Flow, Jan Richardson, 2011. Use of images. "Voice Lessons," Jenny Williams, The Ekklesia Project, 2011. "Without Further Ado: Reflections on the Baptism of the Lord," Alyce McKenzie, Patheos, 2011. The Saturday Night Theologian, Exegesis of Word and World, Tod O.L. Mundo, Progressive Theology Weblog, 2008. Dylan's Lectionary Blog, Epiphany 1A, 2005. Biblical Scholar Sarah Dylan Breuer looks at readings for the coming Sunday in the lectionary of the Episcopal Church. "Servanthood," Timothy Nakayama, Proclaiming Gospel Justice, The Witness, 2005. "Beloved," by Mandy England Cole. A Sermon for Every Sunday. Lectionary-based video sermons from America's best preachers. "Tattooed for Life," Debra Samuelson, Day 1, 2017. "Secret Identity," the Very Rev. Barkley Thompson (TEC), Day 1, 2014. "Lord of All," Frederick Buechner Sermon Illustrations. Ministry Matters, January 12, 2014. "Baptism of Our Lord," the Rev. Ben E. Helmer, Sermons that Work, 2014. 1 Epifanía (A) – 2014, POR EL RVDO. NAPOLEÓN BRITO, Sermones que Iluminan. "The River," the Rev. Dr. Bill Leonard, Day 1, 2011. "Baptism Made Real," the Rev. Randy Calvo, Day 1, 2008. "See How God Sees," Weekly Seeds, 2017. "No Partiality!" Faith Element, 2014. "Possibilities Unfolding/Turning Points," Weekly Seeds, UCC, 2013. Bible Study, Epiphany 1, 2014, Christine Havens, Sermons that Work, Episcopal Digital Network. Estudio de la Biblia.1 Epifanía (A) por Christiane Havens, Sermones que Iluminan, 2014. "Haiti: More than a Cathedral," "Anointed with the Holy Spirit and With Power," "The Light of God's Power," First Sunday after the Epiphany, Lesson Plans that Work, Episcopal Digital Network, 2014. "Entertaining Angels," study guide, Acts 10:34-43, Robert B. Kruschwitz, (other resources at) "Hospitality," Christian Reflection, The Center for Christian Ethics at Baylor University, 2007. Worship Planning Helps (Baptism of the Lord): Worship & Preaching Notes, Hymn Suggestions and Worship Resources from the United Methodist Church General Board of Discipleship. Mustard Seeds, "Lighting Up the World/The Secret of Life," Baptism of Jesus, 2014. A lectionary-based ideas resource for leaders of contemporary worship, Ann Scull, Gippsland, Australia. Worship resources for Baptism of our Lord by B. David Hostetter from SermonSuite. Worship Resources, Rev. Mindi, Rev-o-lution, 2014. LCA Worship Planning Page, Epiphany 1/Baptism, "Everything lay-readers need to prepare worship." Worship and Liturgy Resources, Ordinary 1, by Rev David Beswick, Uniting Church in Australia. Liturgy for the Celebration of Life, Baptism of Jesus A, 2011. Liturgies from a Progressive/Post-Liberal Theology, Revd Rex A.E. Hunt, Uniting Church in Australia. Liturgy for the Baptism of our Lord, Rev. Thomas L. Weitzel, Evangelical Lutheran Church in America. Lectionary Liturgies, Baptism of the Lord, Thom M. Shuman, Presbyterian Church (U.S.A.), 2011. Sermons and Liturgies for Year A, Richard J. Fairchild, United Church of Canada. Liturgical Planning and Music Suggestions, CanticaNova Publications. Laughing Bird Liturgical Resources, Baptism, by Nathan Nettleton, South Yarra Community Baptist Church, Melbourne, Australia. Prayers, blessings, Eucharistic prefaces and scripture paraphrases. Lector's Notes, Baptism of the Lord, Gregory Warnusz, Saint Jerome Parish, Bellefontaine Neighbors, MO. Notes and commentary for those reading this week's lectionary texts to the congregation. The Billabong, Baptism of Jesus, by Rev Jeff Shrowder, Uniting Church in Australia: Hymn suggestions and paraphrases of lectionary Psalms. Introductions to lectionary readings for readers, Proper 1A. Chris Haslam, Diocese of Montreal. Prayers and Meditations, Psalm 29, Timeless Psalms, Joan Stott. 21st Century Worship Resources, Baptism of the Lord, UMCDiscipleship.org. Offertory Prayers, Baptism of the Lord, UMCDiscipleship.org. Prayers and Benediction, Baptism of Our Lord, Yr A, Garth Wehrfritz-Hanson, Dim Lamp, 2011. 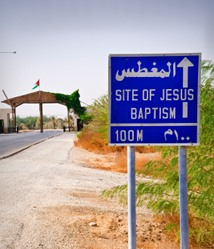 Sunday Prayer for Baptism of Christ A, RevAbi, RevGalBlogPals, 2011. Confession RCL, Bill Wessner, 2014. The Timeless Psalms: Psalm 29, Joan Stott, prayers and meditations based on lectionary Psalms, 2017. HermanoLeón Clipart, Baptism of the Lord. Free clipart, backgrounds, slides, etc. 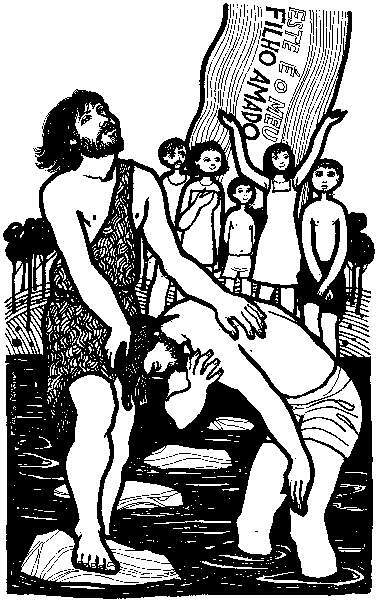 Clip Art, Baptism of Christ, Fr. Richard Lonsdale, Resources for Catholic Educators. Clip Art Images: Baptism of Christ, Misioneros Del Sagrado Corazón en el Perú. Ordinary 1 at Cerezo Barredo's weekly gospel illustration. Follows Latin American Roman Catholic gospel reading, though most gospels texts/themes are found in the index. Liberation emphasis. Baptism of Jesus, audio telling, digital presentation, story in episodes, graphic, audio and written commentaries. Go Tell Communications, Biblical Storytelling for the Global Village, 2011. Isaiah 42:1-9, Light is important in Schindler's List, with Oscar Schindler himself being a 'light to the nations.' Visual Parables, Ed McNulty. "String/Flash Cards," video, John Stevens, Dollar Store Children's Sermons, 2014. "Down By the Jordan" is Carolyn Winfrey Gillette's hymn celebrating Jesus' baptism by John and today's baptisms reminding us to share God's love. Tune: LOBE DEN HERREN 14. 14. 4. 7. 8 ("Praise Ye the Lord, the Almighty"). This hymn is in the United Methodists' Worship and Song. "Spirit of God"is Carolyn Winfrey Gillette's hymn celebrating the Holy Spirit in biblical stories, Jesus' baptism and the Church today. Tune: O QUANTA QUALIA 11. 11. 11. 11 ("God of Compassion, in Mercy Befriend Us"). This hymn is in the Episcopalians' Voices Found: Women in the Church's Song. "Creator Of the Water"is Carolyn Winfrey Gillette's hymn celebrating God using water in the Bible, including in Jesus' baptism and today. Tune: LANCASHIRE 7.6.7.6 D ("The Day of Resurrection"). "When Jesus Came from Galilee," TEXT: Mark Ryman (2004) based on Matthew 3:13-27. TUNE: "Martyrdom," by Hugh Wilson (1800). New Hymns for the Lectionary. Hymns of the Spirit Three, Baptism of Christ A, Richard E. Hurst, Universalist National Memorial Church. Psalm 29 set to Lyons (10 10 11 11) by Dale A. Schoening, Metrical Psalms. "Ascribe to God," lyrics, midi, sheet music, mp3. Stephen J. Pearson, The Psalmistry. Hymn and Song Suggestions, Baptism of Christ A, 2014, annotated suggestions from Natalie Sims, Singing from the Lectionary. Lectionary Hymns, Baptism of the Lord, UMCDiscipleship.org. Shepherd Sounds, First Sunday after the Epiphany. Background information for hymns and choral music following the lectionary from the Episcopal Church of the Good Shepherd, Austin, Texas, by Eric Mellenbruch and David Zersen. Traditional Hymns for Blended and Contemporary Worship Volume One: Advent-Christmas-Epiphany, by Dean McIntyre, United Methodist Church General Board of Discipleship. Worship Resource Manual, The Moravian Church, Southern Province. Worksheets for planning music in worship: hymns, anthems, solos, organ repertoire suggestions for RCL texts. Sing for Joy, Baptism of Our Lord A, 2008. Choral reflections on this week's lectionary readings, St. Olaf College. Weekly Devotion Page, Faith Formation Journeys, 2014. The Bible and Epiphany: The Wise Men and the Baptism of Jesus, crossword puzzle, Bruce Gillette. Lectionary Puzzles, Baptism of our Lord. Word search puzzles in RTF or plain text, by Reg McMillan, St.Stephen's Presbyterian Church, Peterborough, Ontario. Gospel Puzzles for the Lectionary, Matthew 3:13-17, Mark Ryman, edoxy.com. Worshiping with Children, The Baptism of the Lord, Including children in the congregation's worship, using the Revised Common Lectionary, Carolyn C. Brown, 2014. 2011. "Storypath Lectionary Links: Connecting Children's Literature with our Faith Story," January 12, 2014, Union Presbyterian Seminary. Connections: Isaiah 42:1-9 and The Little Duck by Judy Dunn, Acts 10:34-43 and You're All My Favorites by Sam Bratney, .Matthew 3:13-17 and There by Marie-Louise Fitzpatrick. 2011. "A Slice of Encouragement," Fran Woodruff, On The Chancel Steps, 2014. Little People, Big Word, Dianne Ditmer, 2014. Baptism -- Children's sermon by Elaine M.Ward based on Matthew 3:13-17 from SermonSuite.